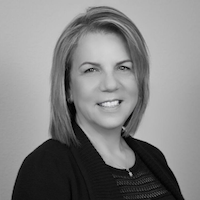 Over the next couple weeks, Dr. Vicki Rabenou will share some of her insights and experiences gained while leading and developing successful startups. Dr. Rabenou is Founder and President of Startup Nation Ventures; a global, equity crowdfunding investment vehicle that funds early-stage Israeli tech and emerging market companies. Dr. Rabenou’s experience spans 20+ years of taking companies through the entire life cycle, from inception to sustainability, profitability, and ultimately, an IPO. Why did you launch Startup Nation Ventures ? 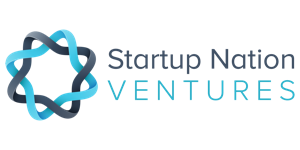 I started Startup Nation Ventures (SUNV) inspired by my experience taking Israeli startups to the U.S. market, establishing meaningful strategic partnerships, and securing funding. My goal is to facilitate and fast-track the entire process of propelling Israeli entrepreneurs dreams into revenue-generating realities. Israel is a tiny country with a geography the size of New Jersey and about 8.5 million citizens. Israel has no oil or other natural resources. It is located in the most volatile place in the world, surrounded by enemies, and yet the state of Israel and the Israelis managed to create one of the most successful and dynamic combinations of innovation and entrepreneurship in the world today. Israel has the second most dense startup scene in the world. To scale quickly and most effectively, founders need to immerse themselves in their market as soon as possible. It is the fastest most efficient way to gain valuable customer insights, create partnerships, and build the momentum needed to grow the business rapidly. With No access to regional markets and with very limited local market Israeli startups MUST reach out to the global markets from the very beginning. However, for an Israeli startup, reaching out to US markets presents a few challenges and risks. Startup Nation Ventures’ offer includes not only funding, but we partner with our founders, sharing with them our resources, connections, subject matter experts, mentors, network of partners, facilities like UCF’s METIL, IQrlando, and other institutes that altogether will shorten the Israeli startup’s journey to the US market from 18-24 months, as I experienced it, to 6-10 months. We also secure future funding with MT platform – offering our portfolio companies investment opportunities through equity crowdfunding and using Triloma as investment bank/broker dealer to our portfolio companies. Our mission at StartUp Nation Ventures is to invest and partner with our portfolio companies providing them with ingredients needed to succeed in the USA. Why has Israel been able to establish itself as Startup Nation ? Today, thousands of Israeli entrepreneurs are racing to change the world with their exceptionally innovative ideas. Unfortunately, they are hampered by both limited resources and finite market share within Israel itself. Currently there are about 5,000 startups in Israel with approximately 100 new startups founded every month. The vastness of the U.S. market and its business resources offer these technology pioneers the chance to further develop their groundbreaking ventures. Israeli government – The Israeli Innovation Authority (IIA) provides funding at the most critical and riskiest stage of startups. Entrepreneurs can get up to $500K funding from the IIA to start their venture. This is the most critical stage in which no private investor will risk their money so the government is taking the risk. If the company is successful, only then they need to repay that grant at a rate of 3% of their annual revenue. Israel spends more on R&D than any country in the world – over 4% of its GDP. Israel has more companies listed on the NASDAQ than any other country in the world outside of the U.S. and China. Venture Capital represents a higher percentage of Israel’s GDP than any other country in the world, with much of the startup investment coming from foreign investors. A recent study by Deloitte reveals that investors have almost as much confidence in Israel as they do the U.S.
Additionally, there is more venture capital per capita flowing into Israeli companies each year than any other country in the world, including the United States. What are some Israeli startups making an impact in the world? Checkpoint, a world leader in providing cyber-security services, founded by an Israeli army intelligence group that is now valued at $11 billion. Waze, the world’s largest community based traffic and navigation app for smartphones that allows drivers to use live maps, real-time traffic updates, and other road data. It was sold to Google for more than $1 billion.